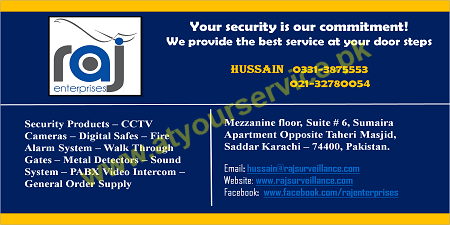 Raj Enterprises provides security solutions. Raj Enterprises is located in Sumaira Apartment, Saddar, Karachi. It provides security solutions including CCTV security camera system, fire alarm system, digital safes, walk through gates, PABX video intercom and time attendance system.